Nkem Owoh popularly known as Osuofia is a veteran Nollywood comic actor, he came into the movie industry as far back as 1987 and he’s remained consistent ever since. Nkem is one of the most popular and controversial actors in Nigeria. Nkem Owoh had his Primary and Secondary Education at Nsukka. Nkem Owoh began his tertiary Education at the University of Ilorin and completed it at Institute of Management Technolgy(IMT), Enugu where he bagged a degree in Electrical Engineering. Nkem Owoh began his acting career way back in his Primary and Secondary school days. He knew right from time that he had a talent in acting. 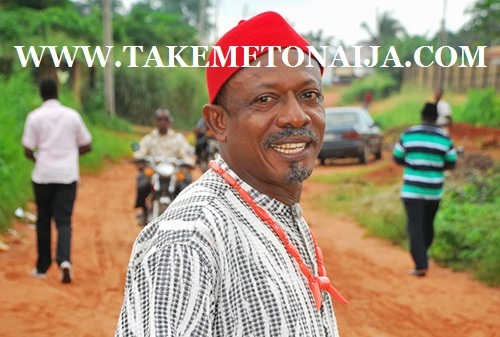 Infact Nkem Owoh is one unique Nollywood actor that has a way of interpreting his roles. He is a born natural when it comes to acting. Nkem Owoh worked with WACO Engineering after his youth service but was unfortunately laid off after a year. That became a blessing in disguise because it gave room for him to get involved with radio and television productions. such as Sam Loco and Patience Ozokwor. During his university studies, Owoh began acting in various television and film productions. Owoh starred in the 2003 film Osuofia in London. He is also known for performing the song “I Go Chop Your Dollar” about advance fee fraud. The song was featured in the film The Master in which Owoh plays a scammer. The Economic and Financial Crimes Commission and the Nigerian Broadcasting Commission banned the song. In 2007 Owoh was arrested in Amsterdam, Netherlands (Bijlmermeer neighborhood in the Amsterdam Zuidoost borough) as the result of a 7-month investigation by the Dutch police dubbed “Operation Apollo”.Owoh was arrested while performing a musical show when the police raided the event and arrested 111 people on suspicion of lottery fraud and immigration violations. Owoh was later released. In November 2009 Owoh was kidnapped in eastern Nigera. His kidnappers demanded a 15 million naira ransom. Owoh was released after his family members allegedly paid a ransom fee of 1.4 million naira. Like any other big star, Nkem Owoh has been accused severally by producers of charging exorbitant appearance fees. The Association of Movie Makers and Producers banned him for making unreasonable demands in 2004. He was among a list of several Nigerian artists who were barred from acting in the country due to their high fees and difficult contract demands. The African Movie Academy Award for Best Actor in a Leading Role. Signed a multimillion naira deal with MTN in 2012 and they’ve been renewing his contract since then.